Beside cheap Dutch quality products you find the largest international collection of outlet stores in the Netherlands in Bataviastad. 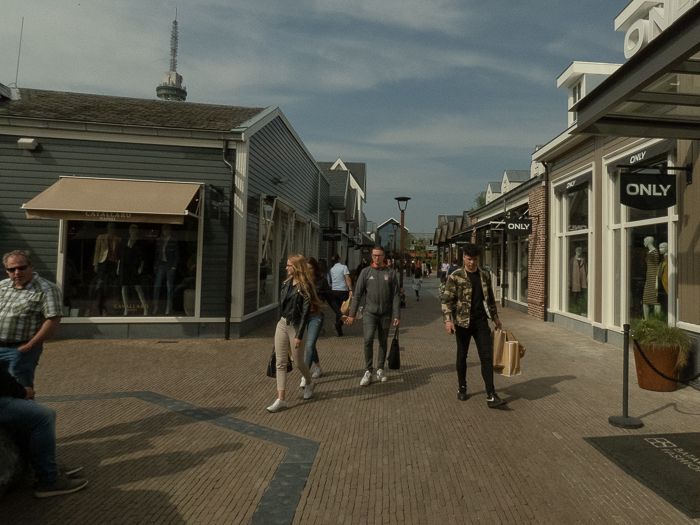 This Outlet Mall is well known all over Holland because of the huge discounts: up to 70%. This Outlet Mall is in the city of Lelystad: 40 km from Amsterdam on the banks of the biggest lake of Holland: the IJsselmeer. I heard friends talk a lot about this collection of outlet stores. So recently I went there. I could not believe my eyes to see so many brands collected in a special outlet town. We did some serious shopping and came back home with Asics, Jeans and kitchen equipment. National and international fashion brands are sold in 250 beautiful stores at the Batavia Fashion Outlet Mall. Here you find fashion of Armani, Levi, Claudia Strater, Adidas, America Today, Kalvin Klein, Denham, Expresso, G Star Raw, Guess, Hugo Boss, Mc Gregor, Nike, Napapijri, Ralph Lauren and among others Tommy Hilfinger. In between the fashion stores you find restaurants and playgrounds for children. Just outside the Mall there are musea and vessels to be visited. 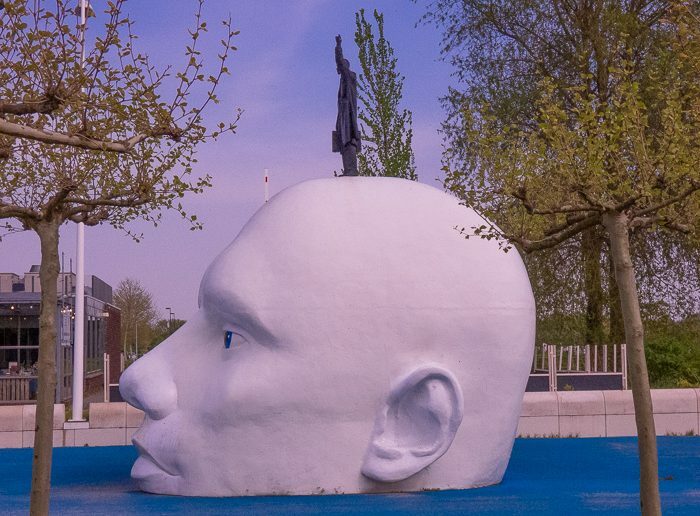 This port, one of the many ports of Lelystad, is just a short walk from the Outlet Mall. 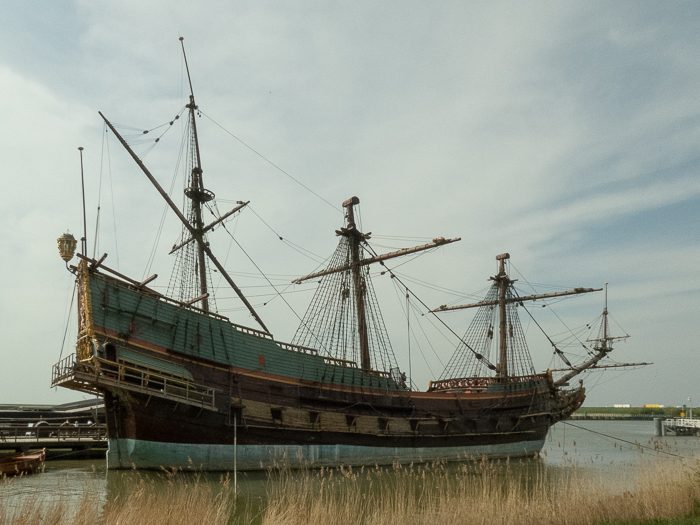 There on the shore of the IJsselmeer, lies the VOC ship Batavia. Moored at a quay alomost 30 feet below sea level. Just follow the dike and climb on board an authentic rebuild vessel originally sailing for the Dutch East India Company (VOC). Actually the Batavia perished on its maiden Voyage on 4 June 1629. Now the Batavia is a part of the Museum Batavialand. A surprising museum that has a lot to affer to offer to all ages. The Mall is open 7 days a week from 10 a.m. till 6 p.m. In weekends it is open a bit later from 10 a.m. til 8 p.m. 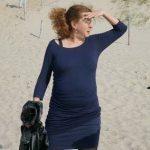 It is a verry good idea to hop on a train from Amsterdam to the railway station in Lelystad. There you catch catch a bus number 3 which takes you derectly to the Outlet Mall Bataviastad. We went to the Outlet Mall by car. Greatest Outlet Mall in the Netherlands: Bataviastad. This Outlet Mall is in fact a walled fortified city where you will only find shops. Nobody lives there.